One of the most beautiful flower from my mum’s garden. It is a Cactus flower. It is as big as my palm open up. 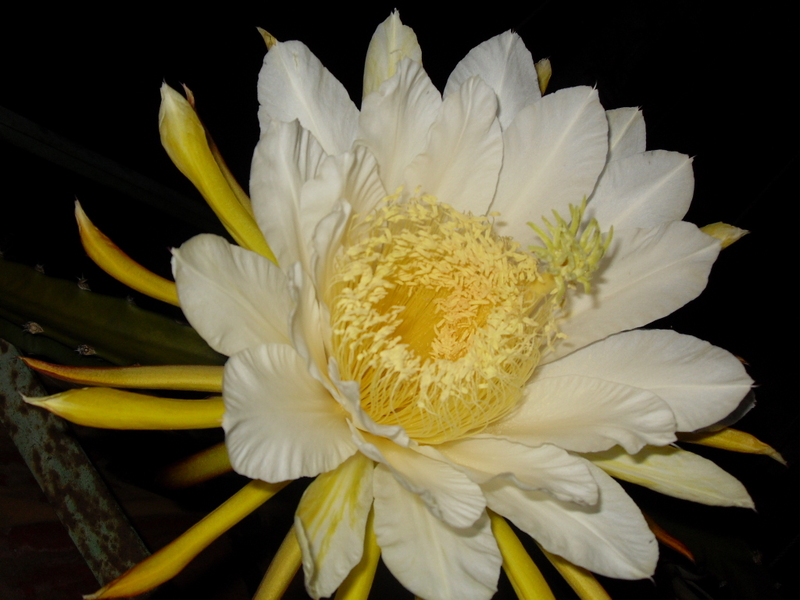 I can’t miss a chance to take the picture of the flower, because it only blooms for one night. It will be withered very soon in the morning. I won’t miss the beauty of the flower. And its nice to share it here. Enjoy it, the beauty in the night. This entry was posted in Diary, nature and tagged beauty, flower, mum's garden, nature. Bookmark the permalink.